As noted by @hamzasood, it appears as though rumors of the next iPhone using a fingerprint reader could very well be true. 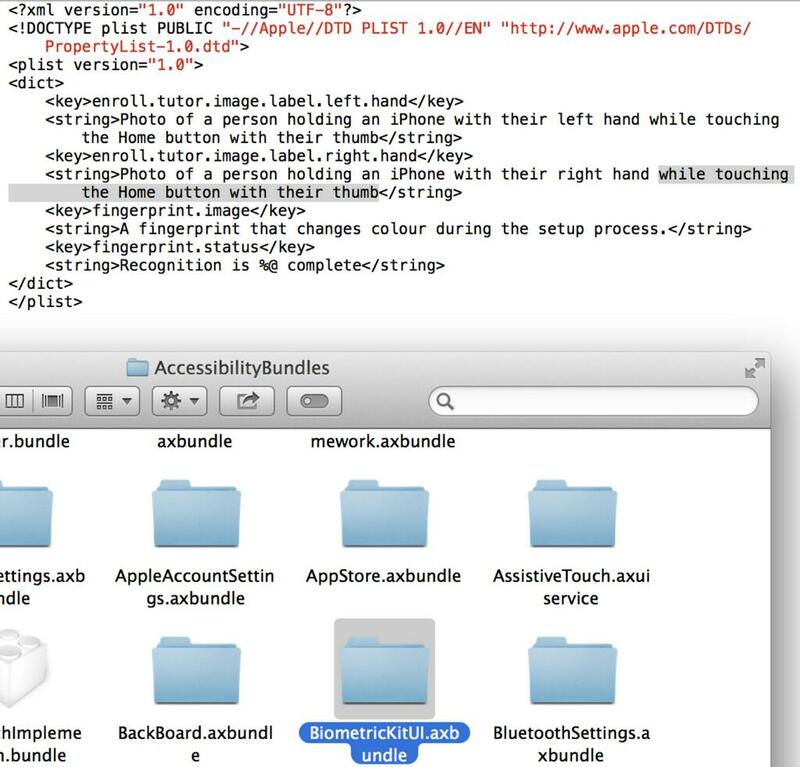 Solid proof of this has just been found in today’s release of iOS 7 beta 4. 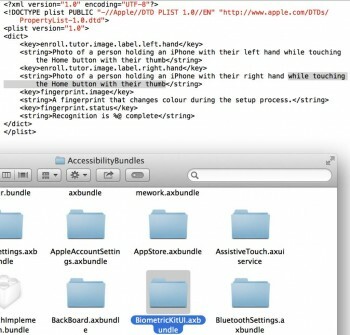 A new accessibility bundle has been discovered, called BiometricKitUI, which contains preliminary strings related to using the home button as some sort of fingerprint reader. The screenshot, provided by @hamzasood. It’s still a bit early to be calling such a thing now, but the rumors have now been backed by actual Apple-supplied files seem to confirm that the next iPhone will support some sort of biometric technology. Is this enough to keep the iPhone relevant? What will the competition do to one-up them? Only time will tell.